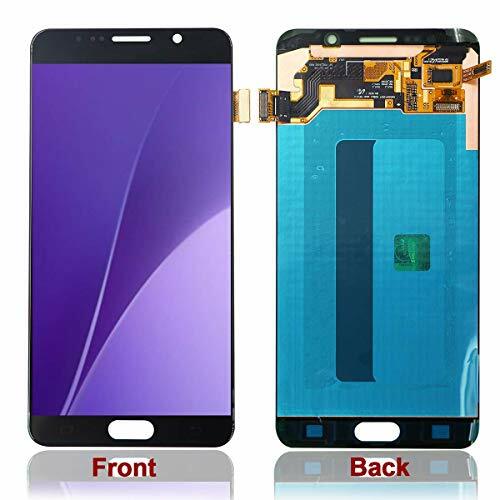 Color: Black Corepair LCD Display Touch Digitizer Screen Glass Replacement Black For Samsung Galaxy J3 2017 Prime SM J327 J327R4 J327T J327T1 J3 Amp Prime 2 SM J327AZ J3 Emerge J327A J327P J3 V 2017 J327V 5.5" + Repair Tool + Frame Tape Features: ①It is used to repair faulty screen and replace your broken, cracked or non-working front screen. 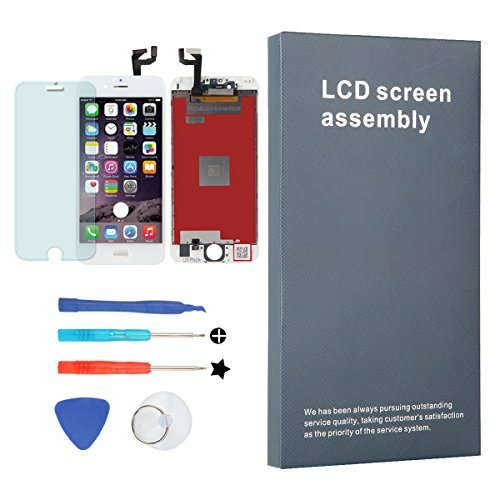 ②Each screen replacement item was double tested before shipping and working perfectly. 6 months warranty for non-human caused damage. 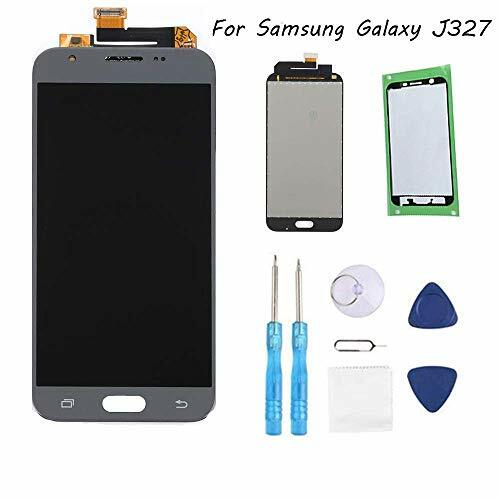 ③Only Compatible with For Samsung J3 2017 Prime SM-J327 J327T1 J327T J327V screen Replacement. 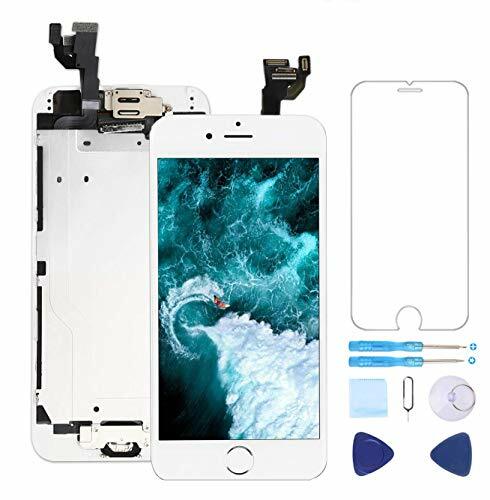 Package include: 1 x For j3 2017 Screen Replacement 1 x Repair Tools 1 x Screen Protector 1 x Frame Tape Product Parameter: 1. Screen Size: 5 inches 2. Resolution: 1280*720 pixels 3. 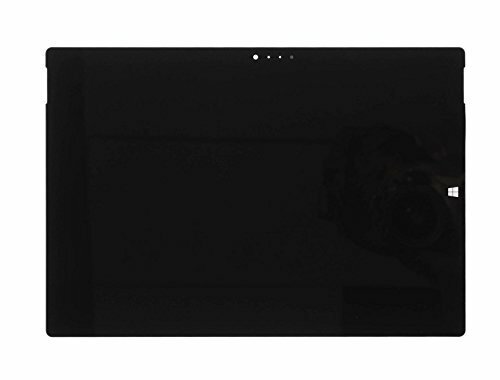 Display Type: Multi- Touch (IPS tech) Notice: 1.Installation should be done by professional technician. 2.Pls make sure the right model number for your mobile phone. 3.No instructions are provided for this listing. This is not an easy job for someone who has no experience at all, you'd better find a Good professional technician to help you.you can search the installation video in youtube. 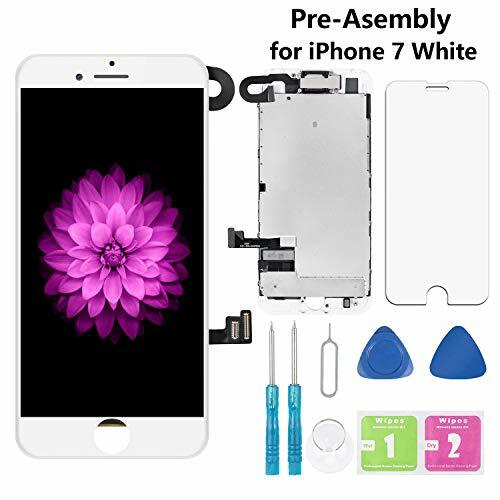 The screen replacement is only fit for iPhone 7 plus Screen Replacement LCD BlackPackage included :1*iPhone 7 plus black LCD screen ,1 set* Installation toolsInstructions:- Use a card pin to push out the SIM card holder- Remove the screws, use the sucker, pry tools and crow bars to open the screen carefully - Remove the battery and battery flex cable- Remove the screen assembly accessories and now the disassembly work is completed- Installation steps shall be carried out in accordance with the reverse .Warning: 1.Make sure your phone is powered off first before installation.2.Because of the screws have long or short ,so please be carefully do not put the screw in the wrong place or it will damage the screen.3.Please do not bend the cable in the wrong way4.Make sure for iPhone IOS is upgraded to the lastest version.5.Please check carefully if the screen have crack, scratches or something omission when sign for the parcel.6.Please feel free to contact us ,if have any problem. 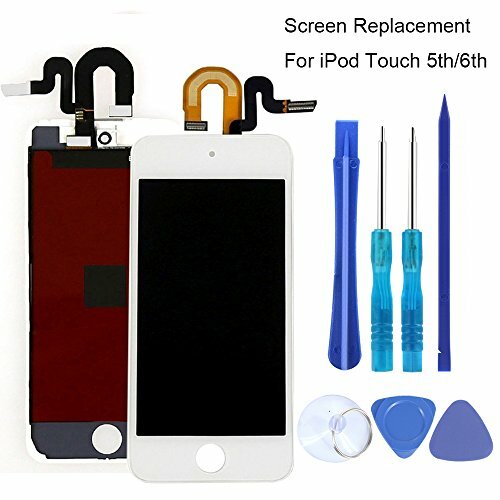 Full Screen Replacement for iPod Touch 5 5th LCD Screen The Whole Display Assembly + Repair Tools, Well pack makes your screen arrived safely. 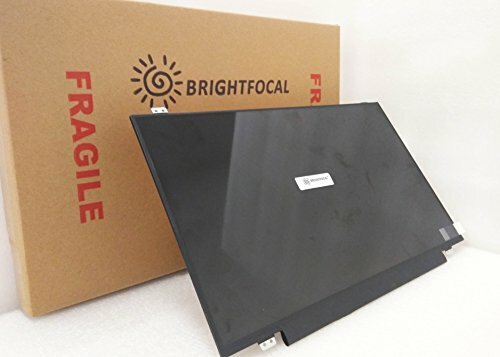 Compatible replacement for Dell Inspiron 15-5558 Compatible screen model: NT156WHM-N12 N156BGE-E42 Please match your original screen's BACKLIGHT TYPE, SIZE, CONNECTOR TYPE, and RESOLUTION before you purchase this item, because some laptop models come with more than one type of screens. Please note that we ship compatible screen models, glossy or matte, depending on market availability. 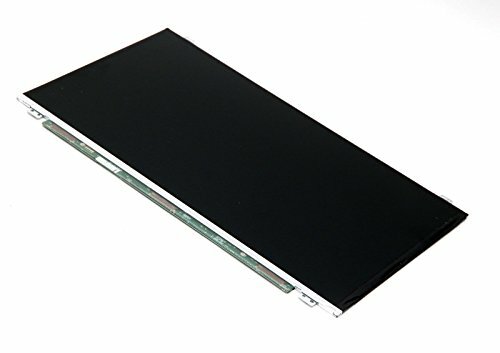 If you are unsure about which screen fits your laptop, please don't hesitate to contact us. We will be glad to help you find a correct item. We guarantee a 100% working compatible replacement with the same or better specifications as the original or your money back! 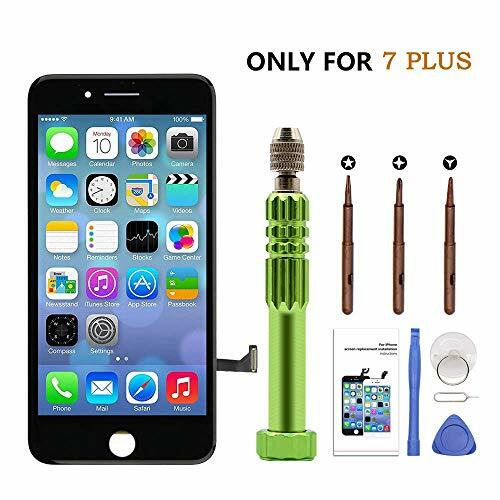 METHOD FOR REPLACING A NEW SCREEN IPHONE 6S SCREEN INCLUDES ACCESSORIES: iphone 6S LCD(4.7INCH); Plum screw driver ; Cross screwdriver ; Plastic crowbar; Plastic triangular pry board; Soft suction cup; Alcohol cleaning kit , Low alcohol levels will not damage your iPhone 6S screen and cell phones; Cleaning sticker ; Complimentary iPhone 6S screen PROTECTOR; iPhone 6S screen Good packaging of materials to avoid breakage; - Minimize damage during transit; - If the shipping process is damaged or the product itself is defective; - our store supports unconditional return or replacement; PLEASE NOTE THAT: 1 - Installation, there is the length of the screws to pay attention ; 2 - Install the wrong will cause the screen damage, we are not responsible for such errors; 3 - If you have any questions about LCD touch screen - please feel free to contact us; Give you a satisfactory answer in the shortest possible time! Thank you. 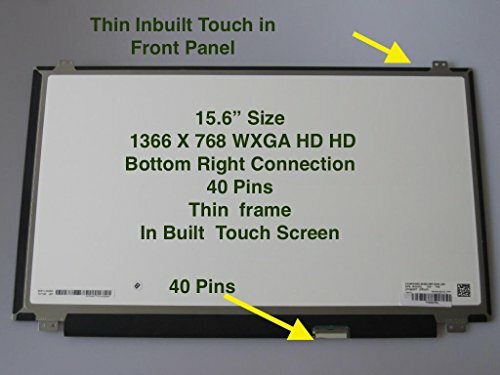 17-Inch Resistive Touch LCD Touch Screen Monitor (4:3) Resistive LCD Touch Screen Monitorfor Restaurants, Retail Points-of-Sale, Bars, and Small BusinessesThis integration-ready monitor features a full environmental protection enclosure that provides protection against moisture and dust, so it is ready to be installed in an outdoor kiosk or other application. With full support for Windows up to version 10, Mac OS X, and Linux, this monitor is ready for integration into any system and environment. It features two composite video inputs, using BNC connectors, and a pass-through composite BNC video output, as well as HDMI and VGA inputs. 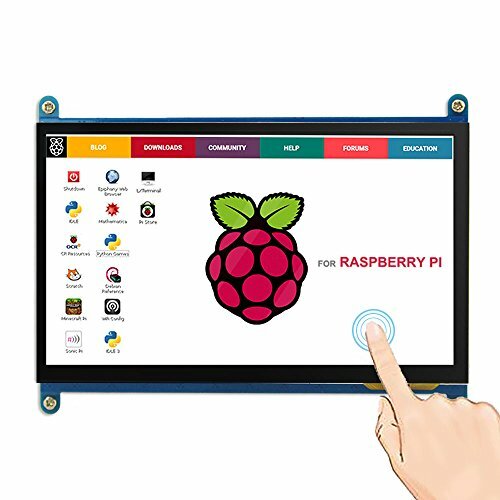 Usable out of the box as a capacitive type touch screen, it can be operated as a resistive type touch screen by installing the included drivers. 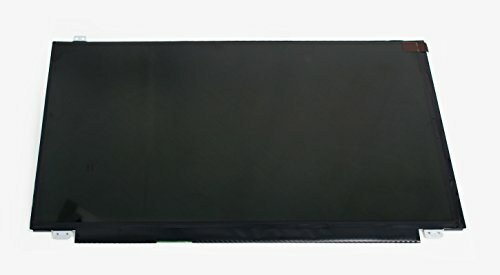 Industrial Grade: This integration-ready monitor features a full environmental protection enclosure that provides protection against moisture and dust, so it is ready to be installed in an outdoor kiosk or other application. The low power consumption combines with the low heat buildup to make it capable of being operated 24 hours per day, 365 days per year. Stunning Color: With support for up to 16.7 million different colors, this glass panel display includes built-in support for the Adobe sRGB, 6500K, and 9300K preset color standards. Wide Viewing Angle: The wide viewing angle ensures easy operation in industrial and commercial environments. Warranty: Monoprice not only stands behind every product we sell with a 3 year replacement warranty, we offer a 30-day money back guarantee as well! If the product you purchase does not satisfy your needs, send it back for a full refund. The Dual Electronics XVM286BT 6.2 inch LED Backlit LCD Multimedia Touch Screen Double DIN Car Stereo with Built-In Bluetooth, USB/microSD Ports & Steering Wheel Remote Control will make the best addition to any vehicle. Your car stereo with Built-In Bluetooth technology was precisely crafted with you in mind and we added all the features you want to have in a double DIN receiver. With your Bluetooth Wireless technology you will easily be able to pair with the vast majority of Bluetooth devices allowing you to make and receive all your calls Hands Free. 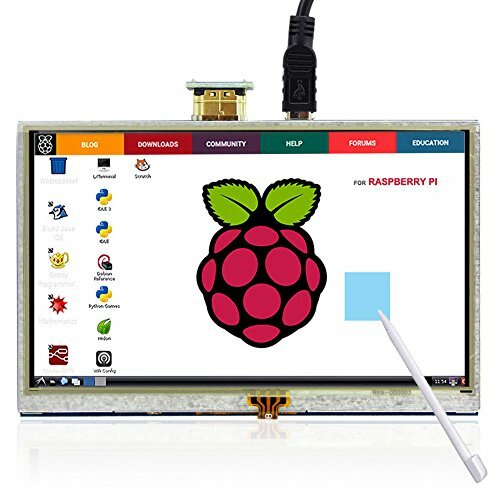 The 6.2-inch LED Backlit LCD High Resolution Touch Screen display provides you with a comfortable viewing experience, is extremely responsive and keeps all your favorite content within fingers reach. Traveling the country is not the same without listening to your cherished music so that is why we included music streaming capabilities to your Dual double DIN car stereo. Music streaming will allow you to view and control your, Pandora, iHeartRadio & Spotify apps from the home screen while also allowing you to stream wirelessly music from your Apple, Android or Media devices including any stored music. To give you more control over your music experience we included an AM/FM Tuner with 30 Station Presets (18FM/12AM) & 7 EQ Presets (Pop, Jazz, Classic, Rock, Beat, Flat & User). For your accessibility we added numerous inputs & outputs to your car stereo: Front Panel inputs such as a USB Port for playback and charging, 3.5mm Audio/Video Input and microSD Card while for Outputs you have a Rear Video Camera input (RCA) and 2 Pairs of preamp outputs (Front/Rear). For your driving convenience we included a Steering Wheel Remote Control, which attaches seamlessly to your car steering wheel and allows you to control certain aspects of your music experience by raising/lowering the volume, track forward/backward and muting the sound. In addition, we added the option of installing a backup camera to your car receiver such as the Dual XCAM200 so that you can always be aware of your surroundings and is also Amp ready for an overall better music experience. Backed by our 1 Year Warranty that guarantees a hassle free experience with excellent customer service. The Dual Electronics XDVD276BT 6.2 inch LED Backlit LCD Multimedia Touch Screen Double Din Car Stereo with Built-In Bluetooth, iPlug, CD/DVD Player & USB/microSD Ports will make the best addition to any vehicle. Your car stereo with Built-In Bluetooth technology was precisely crafted with you in mind and we added all the features you want to have in a double DIN receiver. With your Bluetooth Wireless technology you will easily be able to pair with the vast majority of Bluetooth devices allowing you to make and receive all your calls Hands Free. The 6.2 inch LED/LCD High Resolution Touch Screen display provides you with a comfortable viewing experience while keeping all your favorite content within fingers reach. Traveling the country is not the same without listening to your cherished music or watching your prized movies so that is why we included music streaming and a built-in DVD Player to your Dual double DIN car stereo. Music streaming will allow you to view and control your, Pandora, iHeartRadio & Spotify apps from the home screen while also allowing you to stream wirelessly music from your Apple or Android devices. The DVD Player gives you a surreal viewing experience from your 6.2 inch High Resolution LED/LCD screen turning your vehicle into the ultimate entertainment destination. Your iPlug Smart Remote app was developed specifically for your Apple or Android smartphone to control your Dual car stereo receiver via Bluetooth. You will now be able to change the mode, station, song, volume and settings directly from your smartphone without being in the receiver’s line of sight. To give you more control over your music experience we included a Surround Sound Effect (Concert, Wide, Church, Live, Passive & None), 7 EQ Presets (Pop, Jazz, Classic, Rock, Beat, Flat & User) & 7 Band Customizable EQs. For your accessibility we added numerous inputs & outputs to your car stereo: Front Panel inputs such as a USB Port for playback and charging, 3.5mm Audio/Video Input and microSD Card while for Outputs you have a RCA A/V input, 2 RCA video outputs & Rear View Camera input (RCA). For your driving convenience your double DIN car radio has built-in Steering Wheel Controls that will allow you to control certain functions of your car stereo through the steering wheel. In addition, we added the option of installing a backup camera to your car receiver such as the Dual XCAM500 & BUCAM200 so that you can always be aware of your surroundings. Backed by our 1 Year Warranty that guarantees a hassle free experience with excellent customer service. The touchscreen LCD module enables direct tactile control of all camera features and functionality. Live view for shot alignment. File playback capabilities. Extremely Important: You must match the resolution, back light, and screen size to your current screen. You cannot deviate from your current screen specifications. Purchasing a screen with different specifications will not work with your system. If you are unsure what your current screen specification is, please contact us and we will gladly help. Also Note: You will receive a 100% compatible screen. The exact brand and part number of the screen you will receive is determined by market availability.